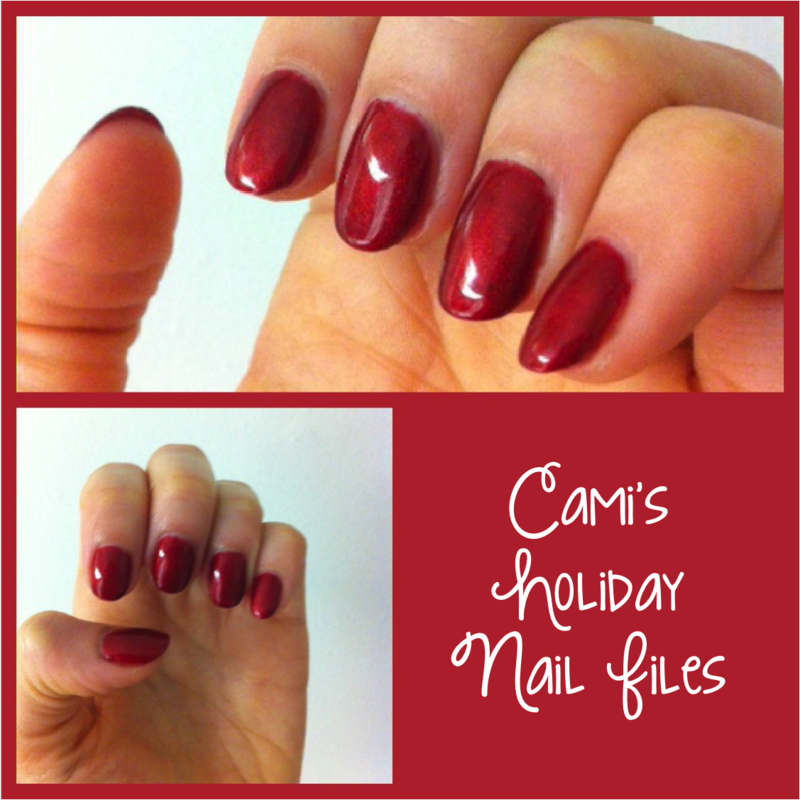 First Day of My Life: Cami's Holiday Nails! I decided to get a "Christmasy" color for my gel manicure - maybe (just MAYBE!) it'll last me until Christmas?! Let me vent for a second - usually I go to one particular lady for my nails. Unfortunately, she's moving come January. So I decided I'd try to find a new nail tech I can use. (Well that and my lady wasn't working Thursday night when I wanted to grab my mani!) I went to a new place - close to home - so I figured it'd be convenient if I fell in love. It was not love at first mani. Why do people speak a different language that I clearly do not speak?! I don't care if you're talking about me or not - it's rude. It's mean. I know you can speak English perfectly fine - what's the deal?! Am I the only one who is peeved by this? Linking up with Vicki & Tara! hahaha. I'm convinced that they are *always* talking about me. Love your nails, super super pretty! I hate that too, just say what you need to say in English. If you speak what I don't understand, I think you're talking about me. Very nice! What's the color? Beautiful color. And yes, I agree - it's rude. It makes me feel uncomfortable. So pretty! yes that is rude and I hate it! Pretty color! Yeah, I kinda agree. If it was just chit chat, why switch up the language? I always feel like they are judging me! Especially when they ask me a question in English and then discuss it with each other right after my answer. Pretty color - and perfect for the holidays!